For more information or to lock in pre-construction pricing, please contact us. LOCATION, LOCATION, LOCATION! Open floor plan 1 bedroom with a spectacular view of Mississippi River & Jackson Square in the prestigious Jax Brewery. Completely new buildout in 2013 including electrical, plumbing, HVAC, appliances, luxurious finishes, granite counters, & high ceilings. Spacious 841 square feet. Sip wine while watching the river traffic from the condo or from 1 of 2 secluded terraces overlooking the river only a few steps away from your condo door. Secure key FOB entry, 2 large elevators with entry code required from lobby, and closed circuit cameras. BBQ pits and gym also available for use. Monthly contract parking available in adjacent parking lots. Please call (504) 528-8090 or email info@webercondos.com with questions or to schedule a tour. Newly renovated condos on beautiful oak tree lined Esplanade Ave at Chartres St. Brand new stainless steel kitchens and baths with quartz counter tops. Bedrooms are exceptionally spacious and beautiful with spa like baths including stainless steel shower tower with body sprays, rain head, and hand spray. 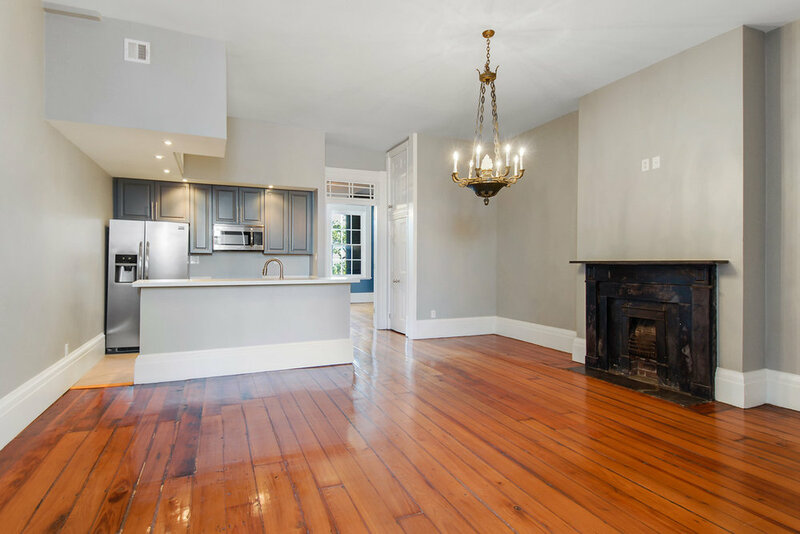 Most of the condos have highly desirable double parlor doors with glass transom, high ceilings, tall base, original crown molding, chandeliers, ceiling medallions, fire place mantles, exposed brick, and all refinished original wood floors. Beautiful courtyard with seating and abundant basement storage available to all owners. Please Call (504) 528-8090 or email info@webercondos.com with any questions or to schedule a tour.